Maître Cuisinier de France Serge Devesa recently joined the Willard InterContinental as Executive Chef. Chef Serge Devesa specializes French culinary traditions and will be looking to his background as inspiration in defining the hotel’s catering and banquet offerings, while overseeing the cuisine of Café du Parc. Chef Serge believes in using fresh, local ingredients and cooking traditionally, resisting modern short cuts. 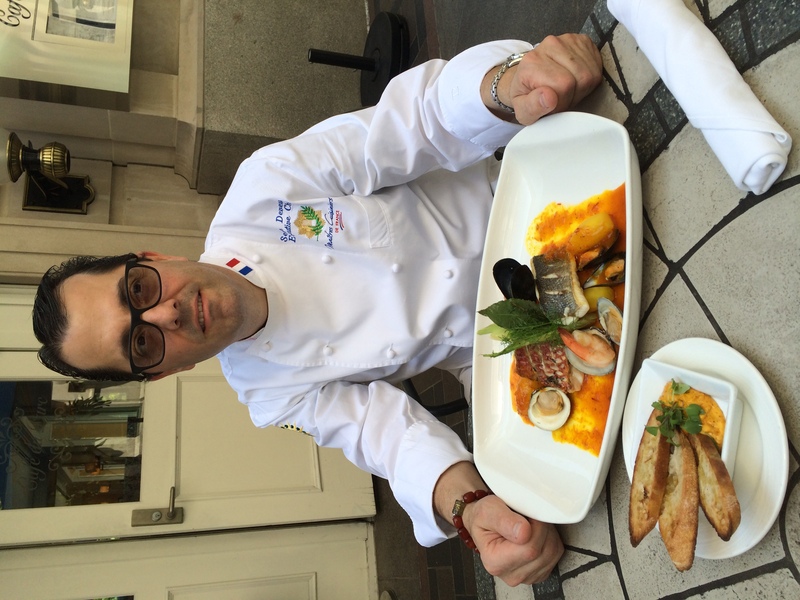 Before you learn how to make MCF Chef Serge Devesa’s Bouillabaisse, read on for a little background into his training and career. A native of Marseilles, Chef Serge is trained in French, Asian, and Caribbean cuisine. His 24-year career is benchmarked by exceptional culinary creation, kitchen and service team management, and quality performance. He has successfully opened new restaurant operations, designs innovative menu offerings, and directs kitchen production operations. 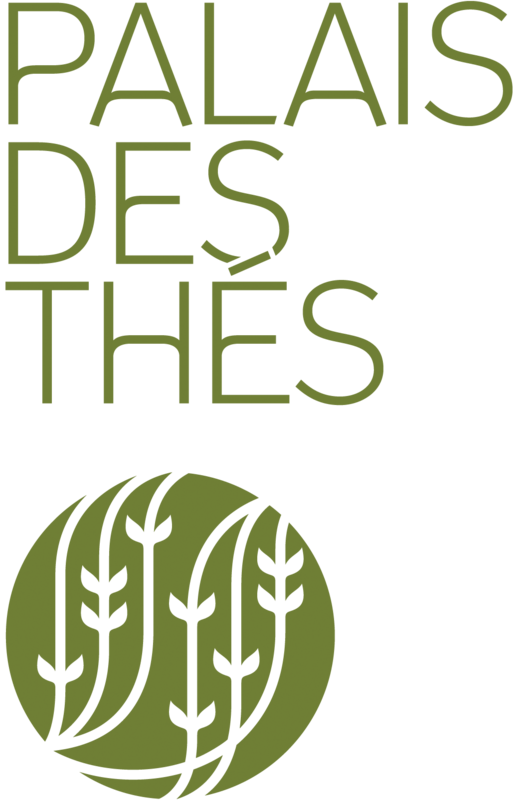 In 2013, Executive Chef Serge Devesa was named a Master Chef by the prestigious French Chef Association, Maîtres Cuisiniers de France. The organization preserves French kitchen traditions to ensure that the next generation has the skills to keep them alive. The organization is over 60 years-old and membership as Master Chef is one of that country’s highest honors. Prior to joining the Willard, Chef Serge served as Executive Chef for InterContinental New York Barclay where he created exceptional culinary experiences for such notables as the President and First Lady of the United States, the United Nations Secretary General, foreign royals and heads of state. He worked on several community-based efforts to support local food banks including a Chefs of World Leaders cooking and tasting event at the Xavier Mission Food Pantry in New York. 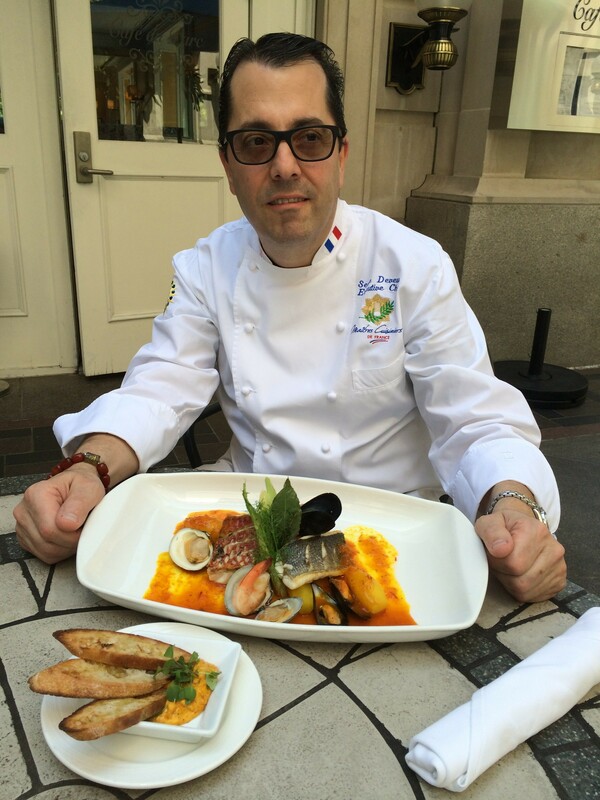 Prior to joining the InterContinental New York Barclay, Chef Serge served as Executive Chef for Colette Bar and Bistro at Hotel Sofitel, Minneapolis, where he gained considerable acclaim for his culinary artistry. While at the Sofitel, Chef Devesa also managed organization-wide chef services and providing world-class French and international cuisine to hotel guests and visiting dignitaries. 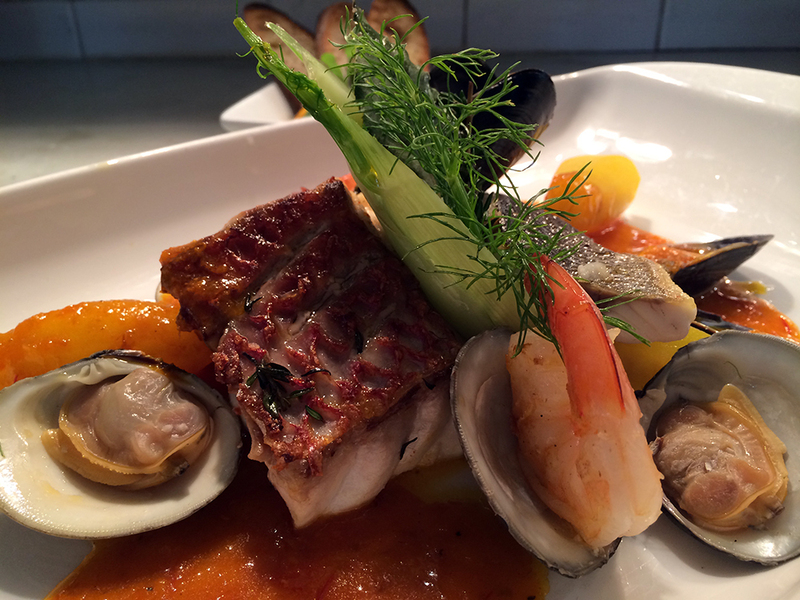 This bouillabaise recipe is special to him since it comes from his native Marseille. Sautee the onion, fennel, garlic, and celery branch in olive oil. Add bones cut into small pieces. Sautee again for 10 minutes until the bones start to break apart. Add saffron, tomato, tomato paste. Sautee for a couple minutes more. Add water or fish stock to cover. Pass in food mill, reduce and check the seasoning of the soup. Poach the fish and seafood inside the soup until the fish is cooked. Poach the potatoes in saffron water and add on top of the fish. Serve in large dish or bowl with garlic, saffron mayonnaise, garlic crustini, and shredded Parmesan. 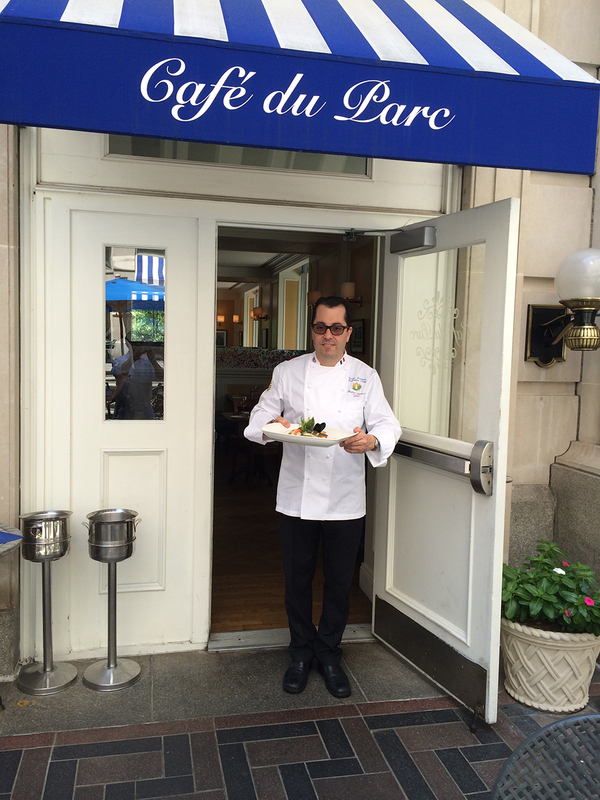 Discover a relaxing continental counterpoint to the busy pace of Washington, DC as you savor the fare at Café du Parc, featuring delicious French bistro cuisine and exquisite house-made patisseries. Reserve a table on the languid terrace or dine inside in a modern, sleek Parisian-style setting. Indulge in gourmet salads, sandwiches and regionally inspired entrees. Sip a glass of wine from our extensive wine list. Or simply satisfy your sweet tooth with one of our specialty pastries, cakes and confections made fresh daily.